An obituary from Grissom-Martin Funeral Home has identified the victim of a fatal car wreck Friday night as Luis Fernando Medrano Alcaraz, 21, of Columbia. 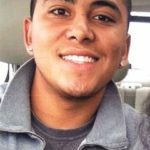 Luis Fernando Medrano Alcaraz, 21, of Columbia, Kentucky, died Friday, August 12, 2016 as the result of an automobile accident on Sulphur Creek Road in Adair County. He was born August 4, 1995, in San Fransico, Michoacan, Mexico, was a construction worker and had attended Lindsey Wilson College.